A brand new mortgage has been launched, aimed specifically at students. While the average age of the UK's first-time buyer now sits at 34, according to the Halifax, this new product from The Loughborough Building Society is designed to get undergraduates on the property ladder at the tender age of just 18. Applicants must be over 18, in higher education and be buying a property that is located no more than 10 miles from where they are studying. For qualifying students, the lender will loan up to £300,000, providing members of their immediate family can provide security in the form of cash or equity in a property. Interestingly, this student mortgage can be 100% of the value of the property - meaning no deposit is required (but that doesn't mean to say a deposit can't be put down in order to buy a property worth more than £300,000). 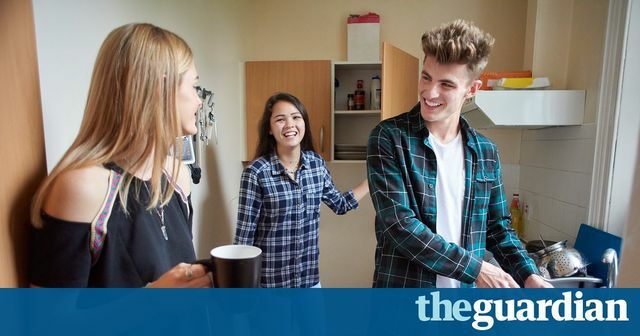 Students will be expected to meet repayments by taking on a part time job and/or renting out spare rooms, effectively turning the student into a landlord. What do you think about the mortgage? Is it a great way of getting on the property ladder at a younger age? Does it expose students to high amounts of debt? Is it too much of a risk for family members, who will be responsible for bailing out children as their role as guarantors? Under the Buy for Uni deal students who are over 18 in higher education in England and Wales can get a loan for up to £300,000 as long as the property is within 10 miles of where they study.